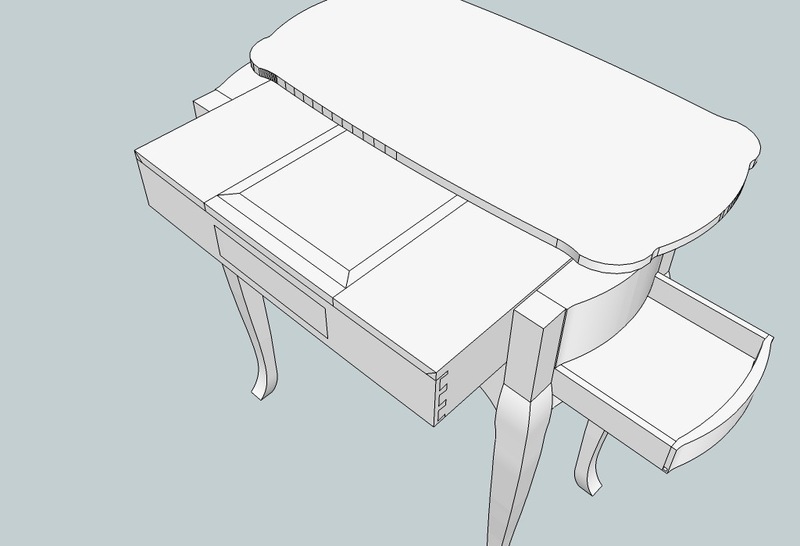 Finally, I’ve completed the 3-D SketchUp model for the carcass. Since I tend to use models like this in the studio as my “plans”, I wanted to create as accurate a representation of the piece as possible. Everything you see, even the parts you cannot, has dimensions associated with it. I started from “scratch” by re-creating the top from the dimensions and drawings I made at the museum. The rest of the model proceeded from there. 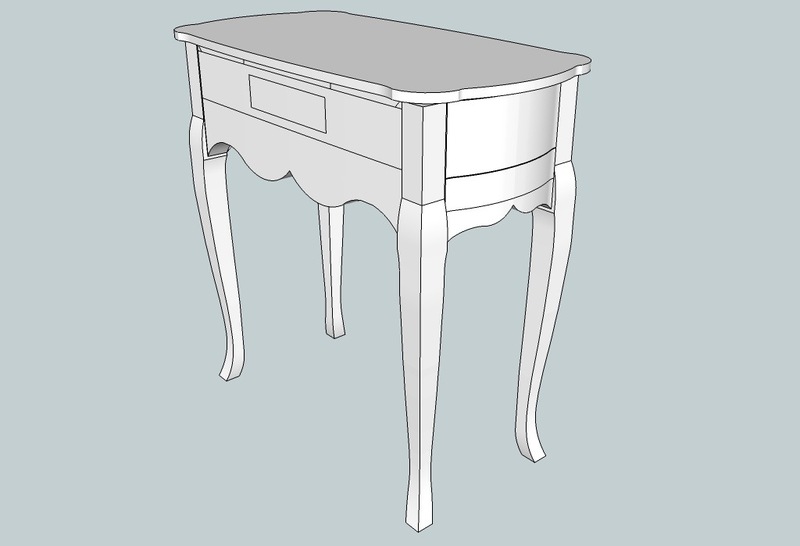 In the end, it contains nearly all of the details of the original table including (some) joinery. I find SketchUp to be an extremely useful program, and an important design tool. Representations like these help me plan out the piece, determine the sequence of steps I’ll follow as I’m building it, and aid in the purchase of materials. 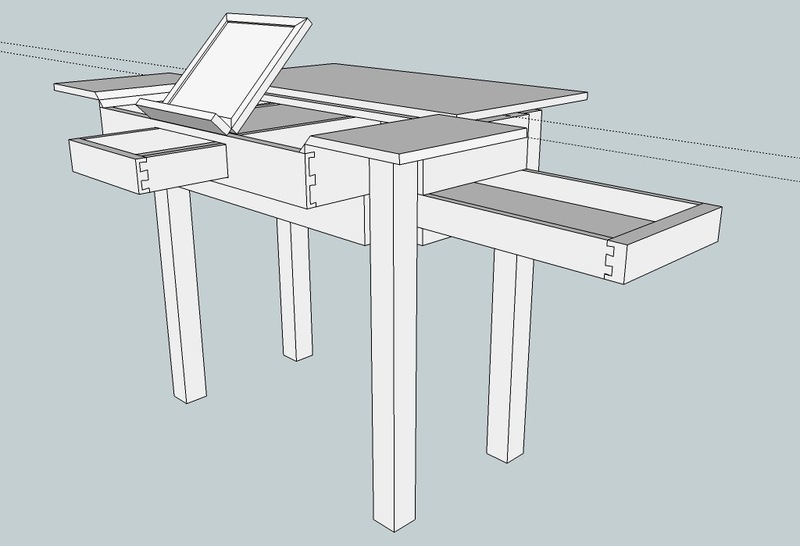 Want to get a jump start on SketchUp? Popular Woodworking Executive Editor Bob Lang is teaching a five-day intensive 5-9 August. Check out the details and sign-up here.